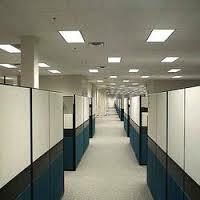 See if your office or IT company qualifies for lower workers compensation rates. See if your Professional business qualifies for one of our Target Office and Tech Programs. Small offices and technology companies don't typically have a hard time finding affordable workers compensation coverage; however, work comp rates do very significantly between insurance companies. We've created target programs for offices and technology firms that helps take the guess work out of shopping for insurance. We shop your workers comp with over 35 carriers so you get the best rates on coverage. 8810 Clerical Office Employees. This is the most common class code utilized and is common to most policies regardless of the nature of business because most businesses have one or more clerical office employees. Common duties include financial, drafting, telephone answering, inside sales, designers, editors, programmers, and general office staff. 8742 Outside Sales and Collectors. This is also a very common class code and applies to many different types of businesses. Unless otherwise classified, all people in sales or who drive and travel frequently as part of their job should be classified as sales. 8803 Auditor, Accountant, and Programmers. This class code applies to clerical type employees who might travel as part of their job. Typical jobs include accounting, computer programming, IT services, or related clerical services. The exposure of traveling differentiates this class from clerical- 8810. 8820 Attorneys and Law Firms- all employees. This is a specific code for law firms and covers all employees including clerical, messengers, and drivers. 5191 Office Machine Installation and Repair. The common class code used for IT services involving hardware installation. Responsibilities include installation, adjustments, and repair to all types office machines such as computers, printers, copiers, fax machines, etc. 8859 California Only- Computer Programming and Software Development in CA. 8832 Physicians and Doctors Office- all employees. Includes all staff operating in a typical doctor's office. 8834 Physicians Office- CA only. Same as code 8832. NOTE Their are numerous related class code for many different types of professional offices and specific state rules that apply. Contact one of our Workers Comp Specialists for more details about coverage in your state. In addition to the best prices on workers comp insurance, ask about our quick and easy coverage option for business owners insurance including liability, auto, property, data breach, EPLI, and more. Exceptional rates and package discounts for IT firms, doctors, lawyers, and offices. Turn-key program and coverage for most professional services and medical offices. Employers offers target rate programs for legal firms and physician offices in most states. Provide some of the lowest workers comp prices for professional sales and technology firms. AmTrust has special rates for programming and software development firms. Offer some of the best pricing for consulting and professional sales people. Give us a call today to learn more about our programs for professional offices and computer service companies. Many of our carriers have the lowest rates in the state for these target class codes and related business types. A lot of insurance agencies have access to some insurance markets that offer workers compensation coverage for professional offices and technology companies. But we offer exclusive programs with our carriers designed to make if fast and easy to get the very best rates on your next workers comp policy..
Start your workers compensation insurance quote online or give us a call at 888-611-7467 to see if you qualify for the best prices on your next policy.